The best part of any motorcycle has never been the bells and whistles. It’s been the freedom and the exhilaration that comes with riding. And in fact, plenty of riders feel that less is more, that a simple bike done right gives you the purest riding experience of all. 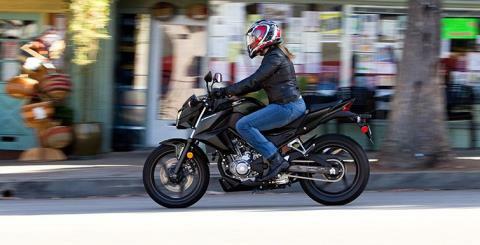 That’s one of the reasons we built the CB300F. It’s a great machine, loaded with features, but in a lighter, smaller, simpler package. It’s a great choice for the urban rider, as a first bike, or really for anyone who wants a great motorcycle. 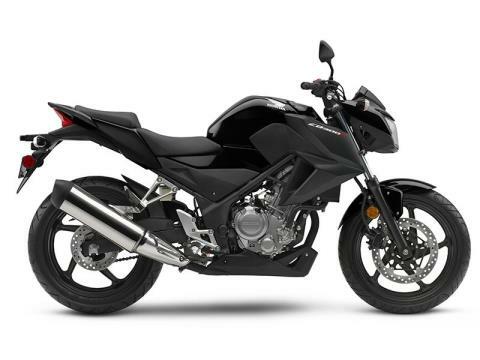 Like our CBR300R, the CB300F uses a totally up-to-date single-cylinder engine. The fuel injection system and electric start make it convenient, but the best feature of all may be its combination of enthusiastic power delivery along with awesome fuel efficiency. 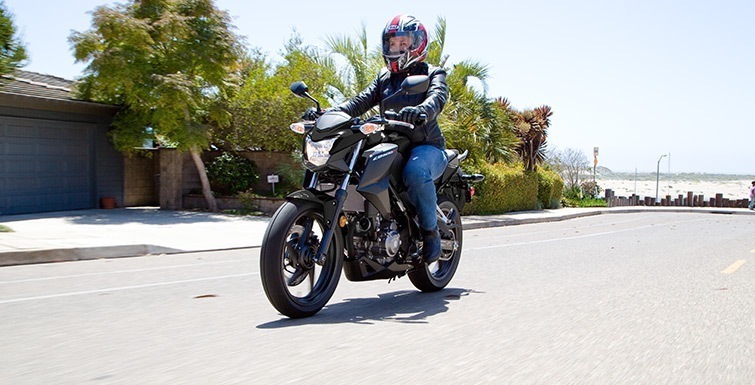 Practical meets performance—it’s not an either / or proposition with the CB300F—you get to have your cake and eat it too. And with its low price, you’ll be able to afford lots of cake. NARROW SEAT AND LOW SEAT HEIGHT: A low 30.7-inch seat height does more than help make sure the CB300F fits a wide range of riders. It makes it easier to put your feet down at stoplights and in parking lots—a big confidence builder. Plus, we’ll offer a Honda Genuine Accessory seat that’ll lower seat height even further!